Another precious Mickey Mouse Christmas applique we just had to offer! 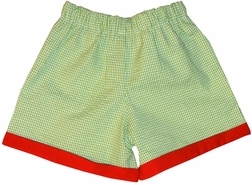 Here we have our custom Disney Christmas Peppermint Mickey Mouse design available in a green gingham John John or longall, or a white shirt with green gingham trousers with red cuffs. 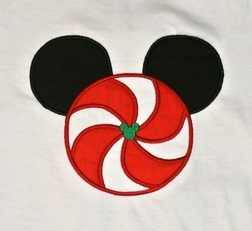 The front of the John John, longall and shirt is appliqued with Mickey Mouse as a peppermint candy for Christmas. Who doesn't like peppermint? ?